People in this part of the world enjoy one of the longest life expectancies on the planet. They also eat a lot of carbs. Modern diet advice has turned “carb” into a four-letter word, but the recipe for longevity may include lots of carbohydrates if you consider the lifestyle of some of the world’s healthiest super agers. 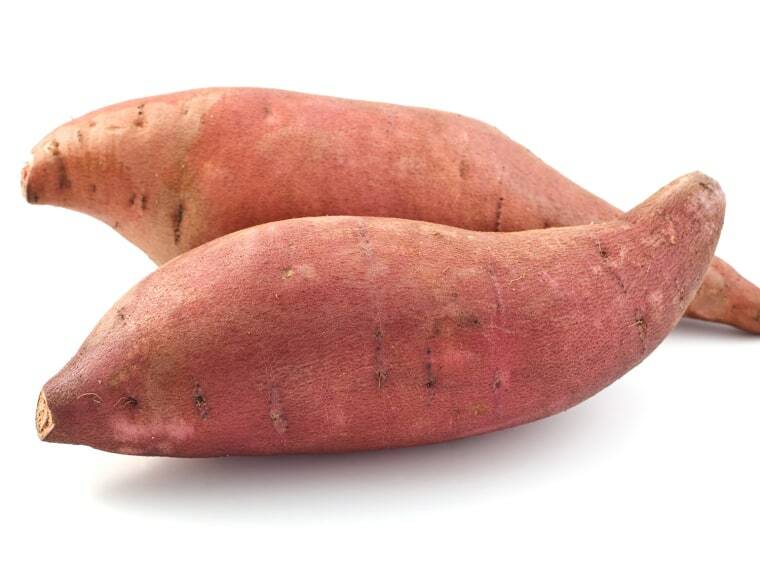 With sweet potatoes serving as their traditional main staple and providing about two-thirds of daily caloric intake, the elder Okinawans consume an estimated 10:1 carbohydrate-to-protein ratio — a proportion that might be shocking to American dieters who shun carbs and load up on protein. This ratio is “remarkably similar” to one that has been associated with the longest lifespans in animal studies of aging, a 2016 study found. The spuds so popular among locals are sweet, but low on the glycemic index, said Craig Willcox, co-author of “The Okinawa Program,” in a recent interview. “You get a very high quality carbohydrate — there’s tons of fiber in there,” he noted. Indeed, sweet potatoes are at the top of The Center for Science in the Public Interest’s “10 Best Foods” list. The Okinawans also consume lots of green and yellow veggies, such as the bitter melon — a plant that looks like a “warty cucumber” and is high in fiber and vitamin C — and soybean-based foods, like tofu and miso. Small servings of fish, noodles, lean meats, fruit, tea and alcohol complete the diet. Herbs and spices, such as turmeric, are often used instead of salt. The diet is low in calories, yet nutritionally dense, researchers report. Such nutritional factors appear to play a key role in the long life expectancy of Okinawans, who enjoy an 80 percent lower coronary heart disease death rate and a 40 percent lower cancer mortality rate than the U.S. population, studies have found. Besides genetic factors, their other healthy lifestyle habits, including regular physical activity, low stress and rich social networks, also play a role in longevity and have been reported across the world’s blue zones, said Madelyn Fernstrom, NBC News Health and Nutrition Editor. She cautioned against boiling down the Okinawa lifestyle to a ratio of carbohydrates to protein, but called the original Okinawan diet a good one. “If we all just decided to go low protein and high carb without guidance on the right choices, we may not fare as well,” added Kristin Kirkpatrick, manager of wellness nutrition services at the Cleveland Clinic Wellness Institute in Cleveland, Ohio. A Western version of this diet would likely be heavy in sugar-laden carbs and refined, processed grains, she cautioned. “It’s hard to not like a diet that omits processed and nutrient-lacking foods so prevalent in the American diet,” Kirkpatrick said. The eating plan is consistent with current evidence-based health guidelines: It’s plant-based, and contains adequate protein, healthy fats and fiber-rich carbs with plenty of color, Fernstrom said. From a nutritional viewpoint, it’s actually not a low-protein diet. “It’s sufficient for most people,” Fernstrom noted. The proteins are mostly plant-based, with small amounts of animal protein — a healthy combination. Under this plan, calorie consumption is reduced, but not restricted, so you can keep your body weight stable and avoid “weight creep,” she added. Sweet potatoes are packed with nutrients, especially vitamins A, C and B6, potassium and magnesium. Fernstrom called them a “satisfying carbohydrate,” with one medium potato providing 20 percent of your daily fiber need. The vibrant orange color indicates a rich beta carotene content. Studies show sweet potatoes may play a role in reducing inflammation, controlling blood sugar and the prevention of some chronic conditions, Kirkpatrick said. You may benefit from aspects of the Okinawan regimen, but the key is to set realistic goals and take baby steps towards improving all aspects of your diet, Kirkpatrick advised. “Yes, this is a healthy eating plan — if it connects with you," Fernstrom said. "It’s not one specific food, but the overall inclusion of nutrient-rich foods, and other life components that we should be paying attention to."